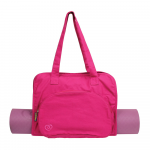 The perfect accessory for carrying your mat without a Yoga Mat Bag. Mat carry straps allow you to carry your mat to classes and studios with ease on your travels. 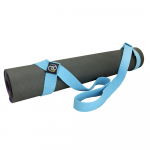 Yoga brand Yoga-Mad provide a selection of straps in a range of colours and lengths, here on the MAD-HQ website; take a look and filter by products to find the right carry strap for you. 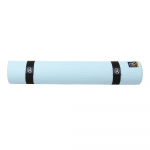 For the extensive collection of mats, head over to the Mats section where you’ll find mats for Yoga, Pilates, Aerobics, and other forms of fitness and exercise.